All referrals to AltaPointe Health − adult or child outpatient services, residential services, BayPointe Hospital, BayView Professional Associates and EastPointe Hospital − are handled through CarePointe, our call center. 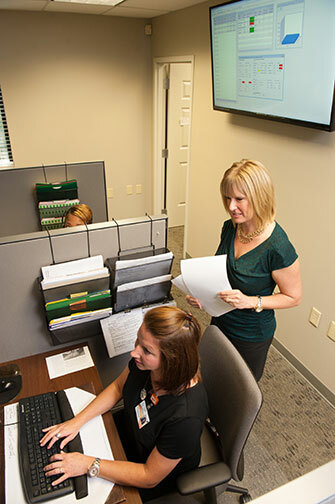 CarePointe’s phone lines, (251) 450-2211 or (888) 335-3044, are answered 24 hours a day. The CarePointe phone line for BayView Professional Associates is (251) 660-2360. To provide the best care in the most efficient way, our CarePointe specialists MUST speak directly with the patient or the parent, in the case of a child patient or guardian. CarePointe connects patients with services and is the initial contact for most patients entering or returning to AltaPointe care. We encourage physicians to call our designated physician and referral phone line with the patient during an office visit. Physicians may call (251) 450-2211 to request that phone number. Or, patients may call CarePointe from the privacy of their homes if preferred. During this call, a professional counselor will conduct a brief assessment to determine the appropriate program, service or level of care as well as method of reimbursement for services. Upon intake, patients are asked to sign a release allowing AltaPointe to speak to their primary care physicians if they would like our healthcare professionals to coordinate with their primary care physicians (PCPs). For patients discharged from either BayPointe Hospital or EastPointe Hospital and who are covered under the Medicaid Patient First plan, AltaPointe will make follow-up appointments with their PCPs.